On October 25, 2017, the U.S. Department of Agriculture Rural Development, Rural Housing Service (RHS) published its new “Multi-Family Housing Program Requirements To Reduce Financial Reporting Requirements” in the Federal Register. The rule impacts for-profit borrowers and was optional for 2017 reporting, but must be adopted for 2018 reporting*. Nonprofit borrowers will continue to follow the audit and reporting requirements of Uniform Guidance (2 CFR parts 200 and 400). 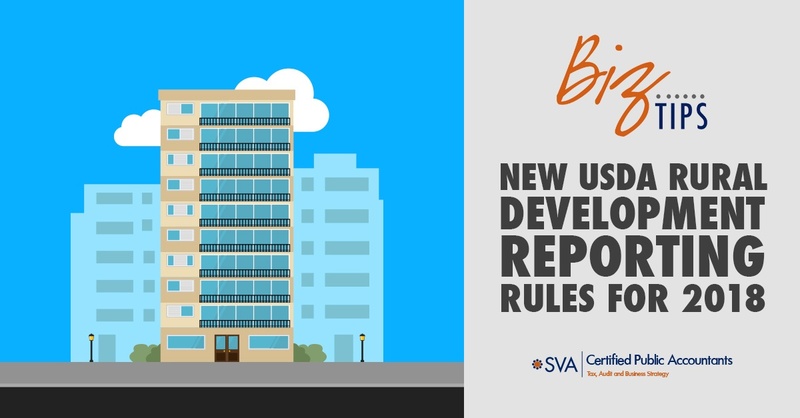 The purpose of the rule is to align the RHS reporting requirements with those of similar agencies, reduce overall financial reporting requirements for RHS projects and eliminate the agreed upon procedures (AUP) reporting requirement. In general, for-profit borrowers with $500,000 or more in Combined Federal Financial Assistance (CFFA) will be required to provide annual financial and compliance audits and those with less than $500,000 in CFFA will be required to provide annual certified prescribed forms on the accrual method of accounting**. Borrowers will continue to be required to self-certify to the performance standards under 7 CFR 3560.308(b). Some projects will be adversely affected if they have CFFA in excess of $500,000 and were not previously subject to audit requirements. * The current guidance indicates that the final rule is optional for FY2018 and mandatory for FY2019. However, it is unclear if this reference to fiscal years means the government’s fiscal year ending each September. Additional guidance is anticipated to be released in the future. ** There is conflicting information in the rule and from nonauthoritative sources as to whether a compilation of the 3560 forms with supporting schedules by a certified public accountant may be required. The final rule references owner certified prescribed forms in accordance with the American Institute of Certified Public Accountants’ Statements on Standards for Accounting and Review Services, but also indicates that borrowers “may use a CPA to prepare this compilation report of the prescribed forms.” For 2017, Wisconsin RHS did not require a CPA to issue a compilation report and a self-certification was acceptable.